Shhh… Big Brother can hear you. No seriously, they just declassified the Dominator I (friendly sounding name, isn’t it? ), which obviously can tune in on all GSM phone calls in its range – plus it can read your SMS messages too. 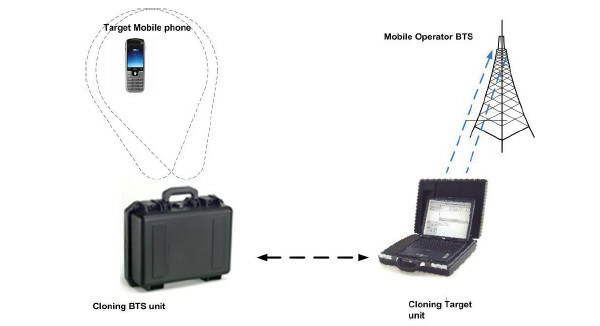 The Magnet Dominator I GSM eavesdropping system was developed for the military (no word which one exactly) exploiting the recently cracked A5/1 encryption of the GSM communications. The whole setup consists of a laptop, two relatively small boxes and a couple of directional antennas that you point to the zone (people) you want to eavesdrop on. The whole thing can fit in a suitcase, weighs 5.6 kilograms and can be powered by a car battery just as well. And it can intercept and record four independent GSM calls in real-time. The Dominator system is undetectable by both the user and the network operator and in an urban environment it can capture calls in a 100-150 meter radius (up to a kilometer in rural areas). An optional add-on boosts that range to 2km. The way this thing work is by doing a man-in-the-middle type of attack. It creates a new cell tower to which mobile phones hook up and redirects the traffic to the operator’s real tower without either party finding out about these shenanigans. Up to 4 calls can be recorded simultaneously by the Magnet Dominator I, and it can store up to 10,000 recorded calls and a lot of SMS messages too. The military version of a TV ad for the Dominator I (the video above) was recently declassified – so, they’ve probably had it for a while. Dominator I can only break A5/1 encryption (which was reported to be weak a while ago). This means that 3G calls (which use the stronger A5/3 encryption) are safe. That encryption was broken too, but whether or not a system that can do it in practice exists is anyone’s guess. Make yours in the comments.